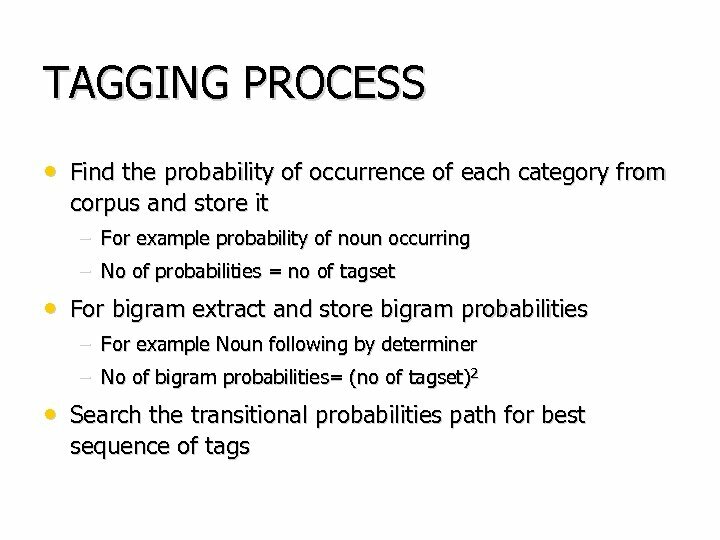 Rule Based Tagger • Rule Based POS tagging Methodology • A given word is given it's corresponding POS tag. 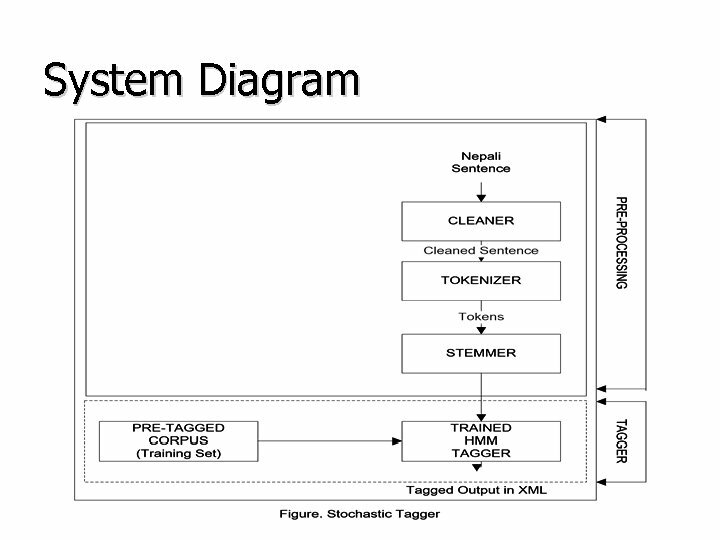 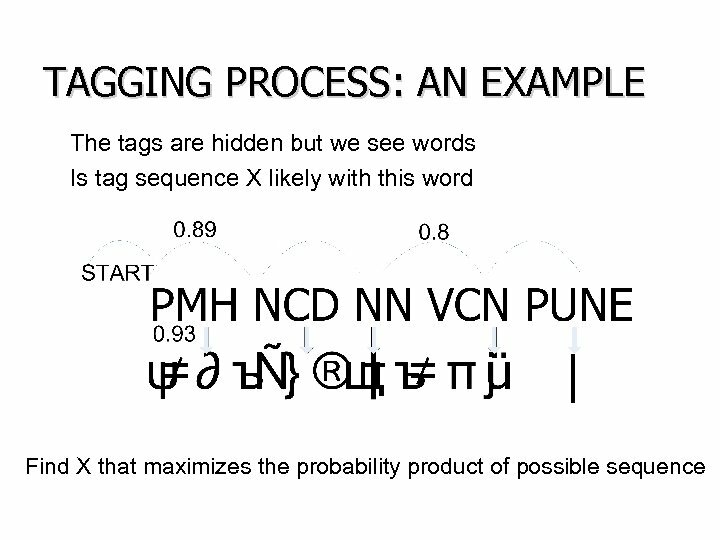 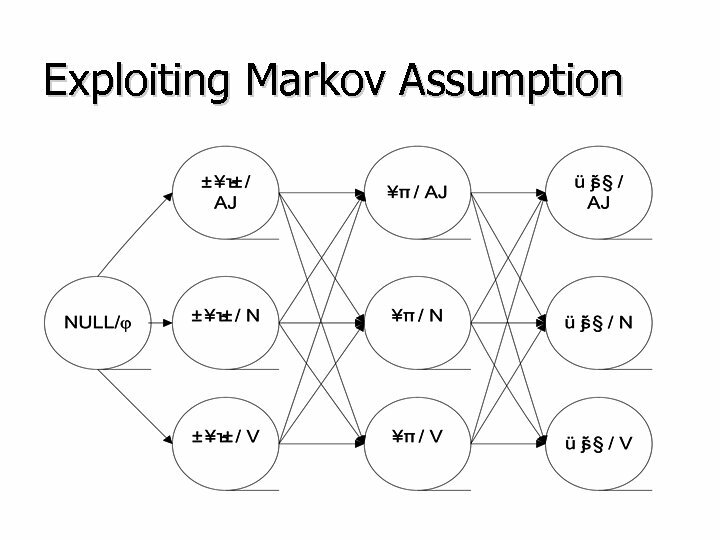 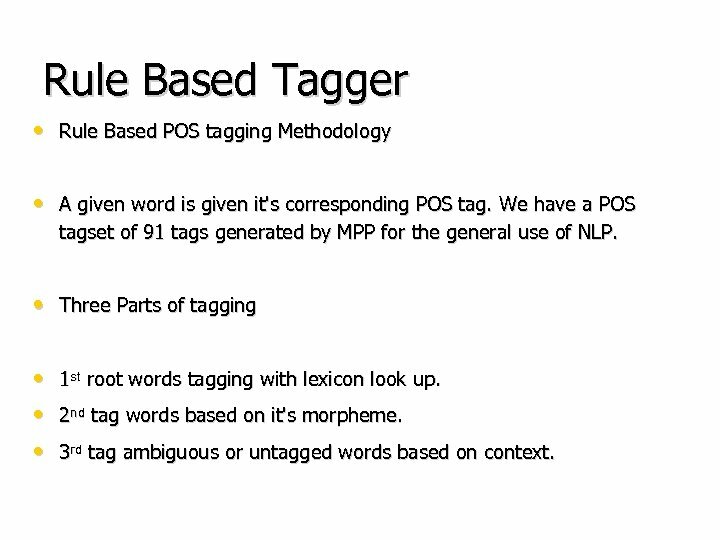 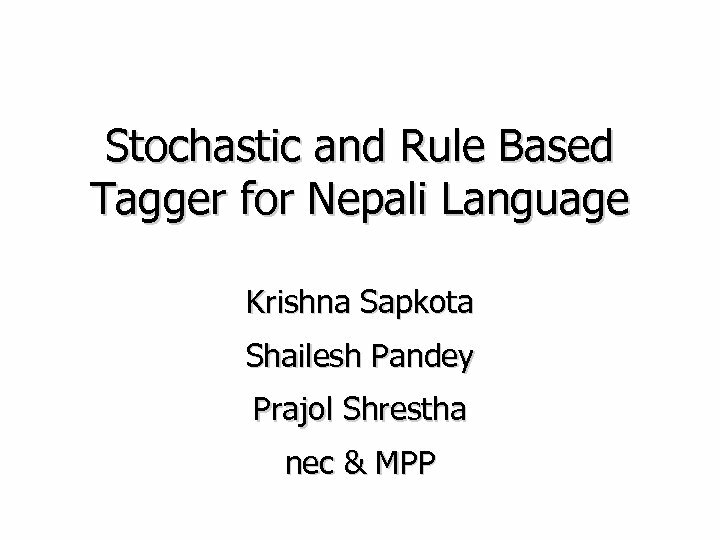 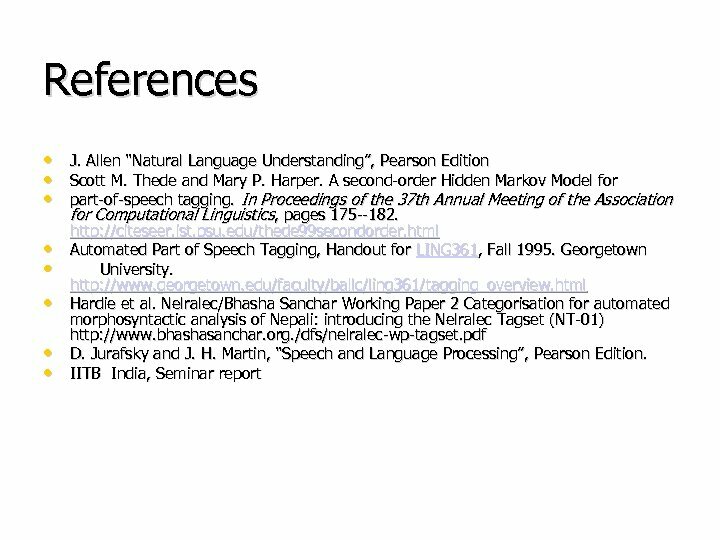 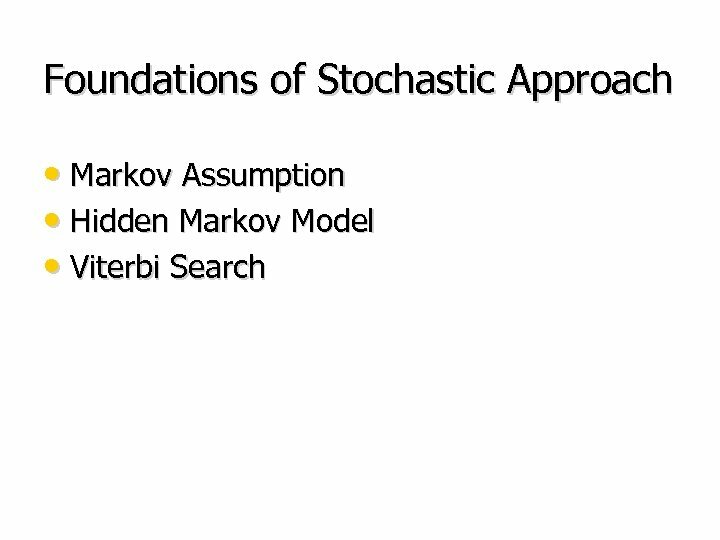 We have a POS tagset of 91 tags generated by MPP for the general use of NLP. 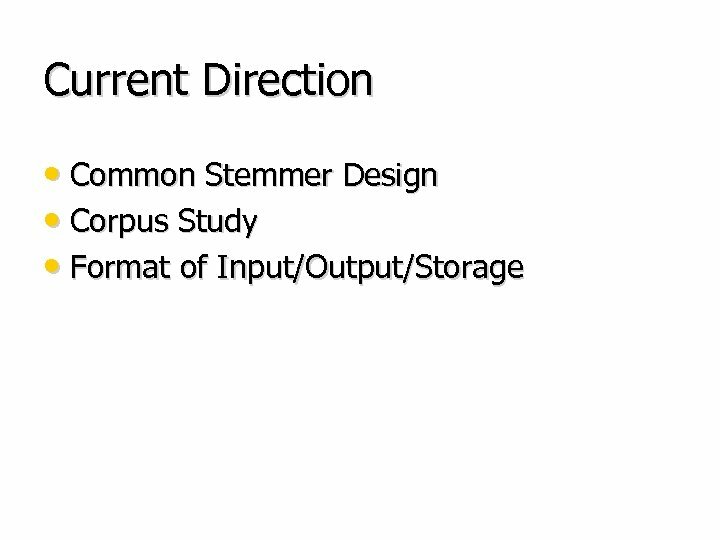 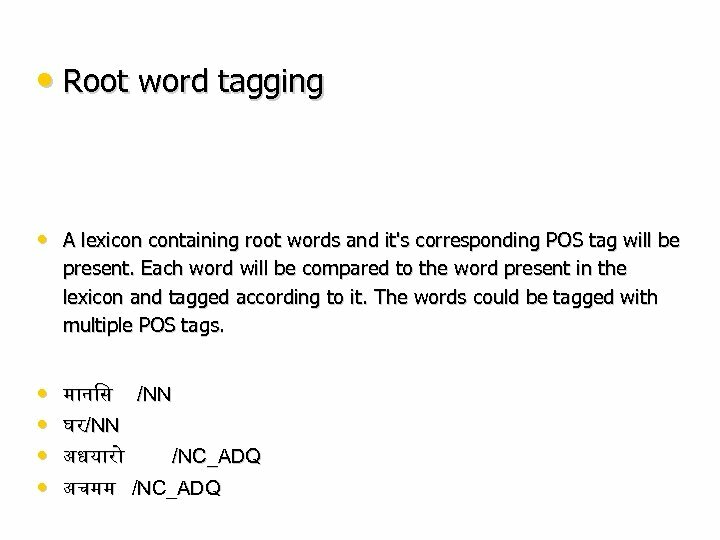 • Three Parts of tagging • 1 st root words tagging with lexicon look up. 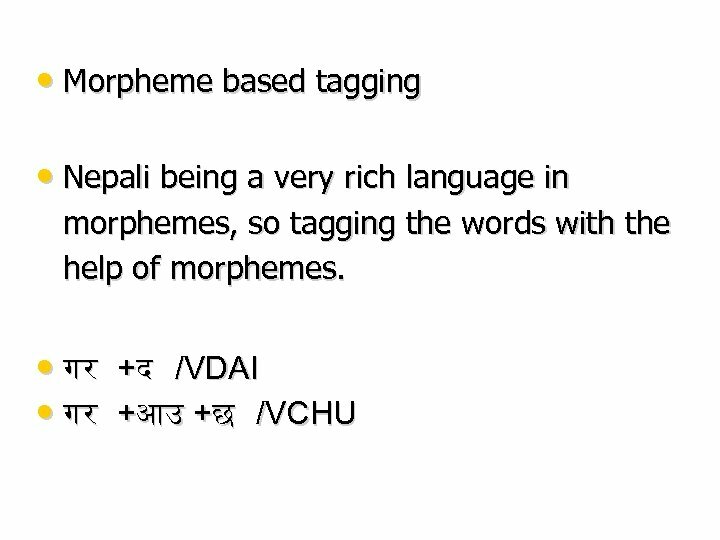 • 2 nd tag words based on it's morpheme. 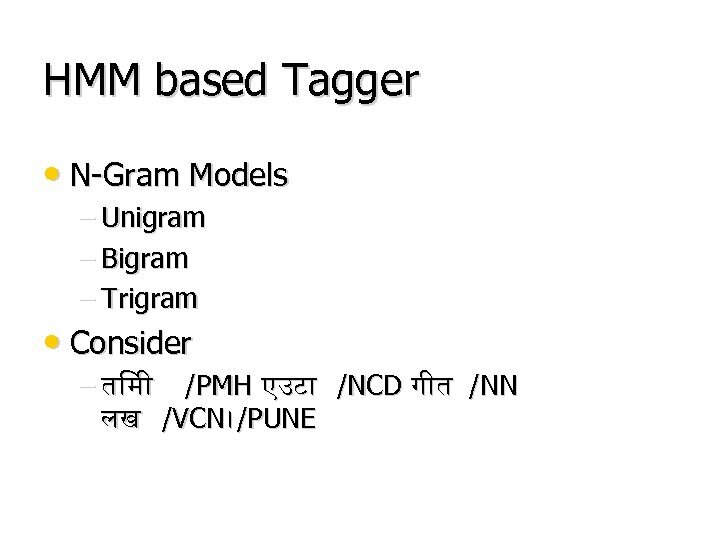 • 3 rd tag ambiguous or untagged words based on context. 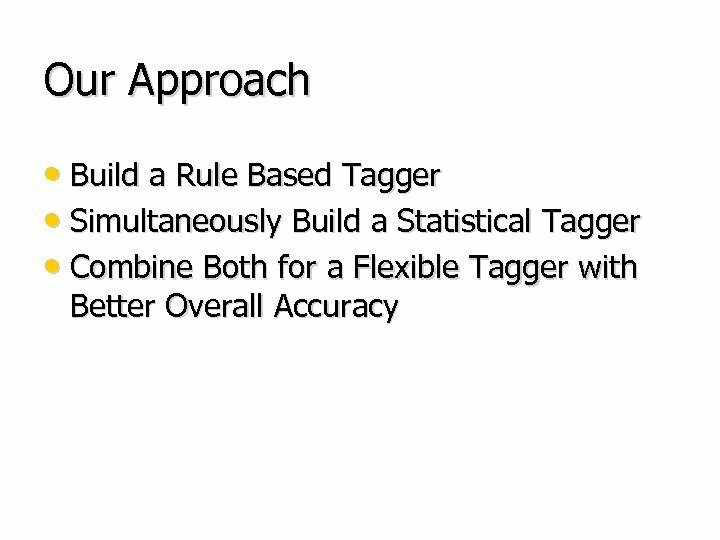 • Context based tagging • These context based rules are used when ambiguous words appear or if a word is not tagged. 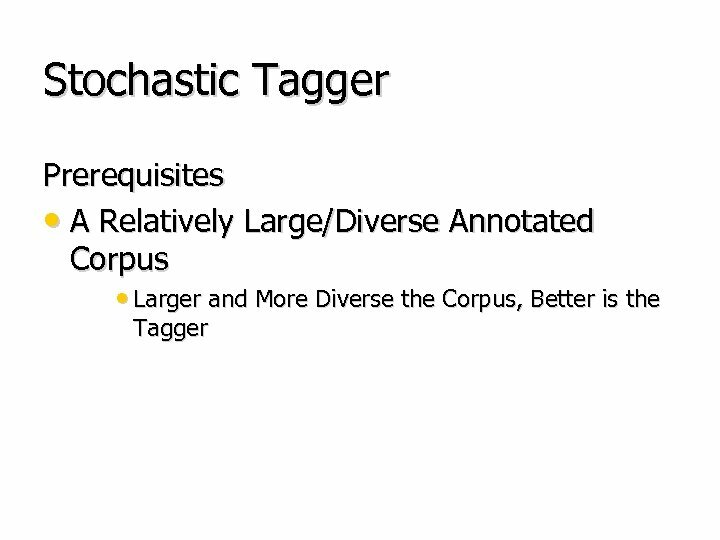 In this tagging process we consider the context in which it comes. 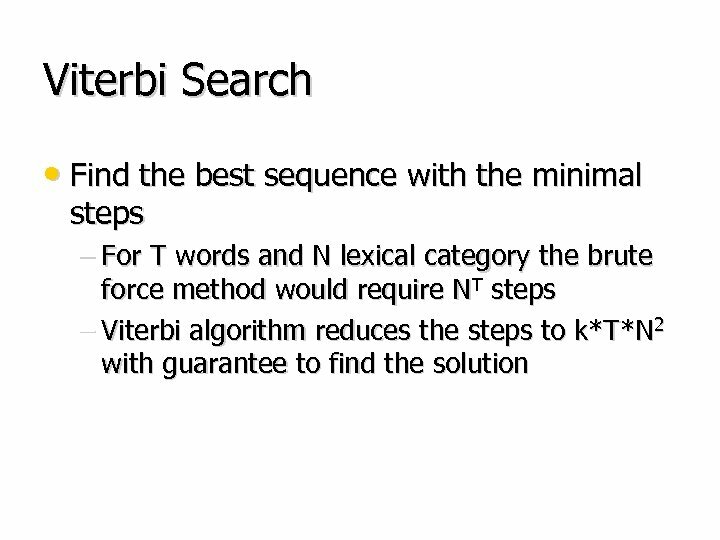 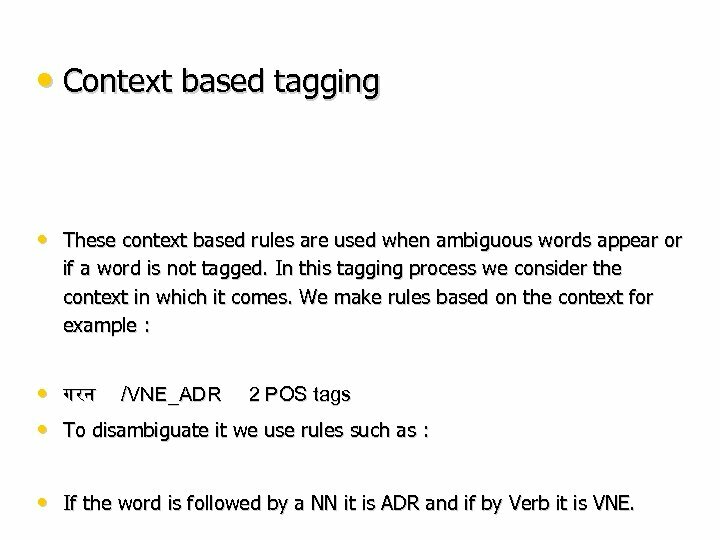 We make rules based on the context for example : • गरन /VNE_ADR 2 POS tags • To disambiguate it we use rules such as : • If the word is followed by a NN it is ADR and if by Verb it is VNE. 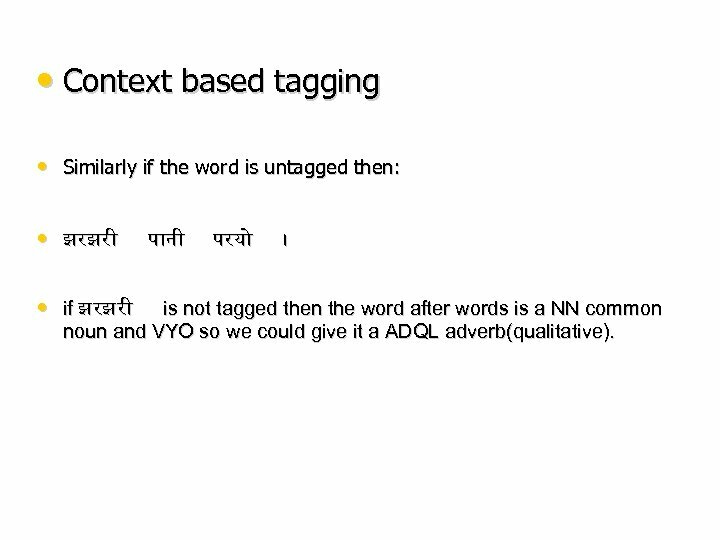 • Context based tagging • Similarly if the word is untagged then: • झरझर • if झरझर प न परय । is not tagged then the word after words is a NN common noun and VYO so we could give it a ADQL adverb(qualitative). 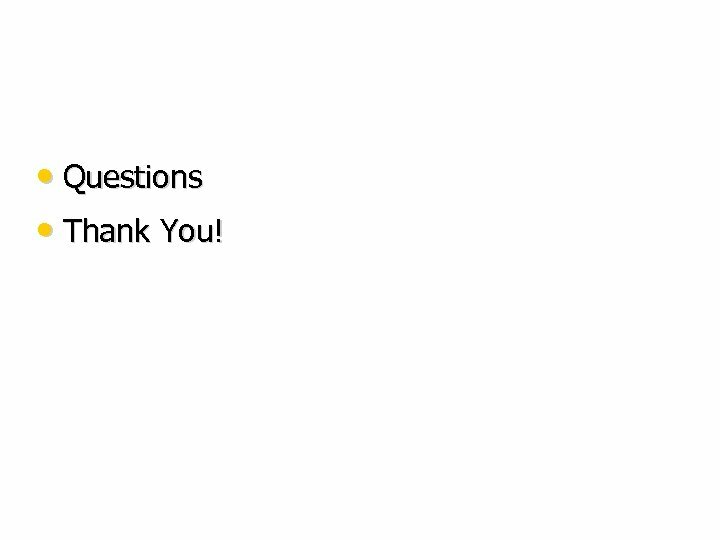 • Questions • Thank You!